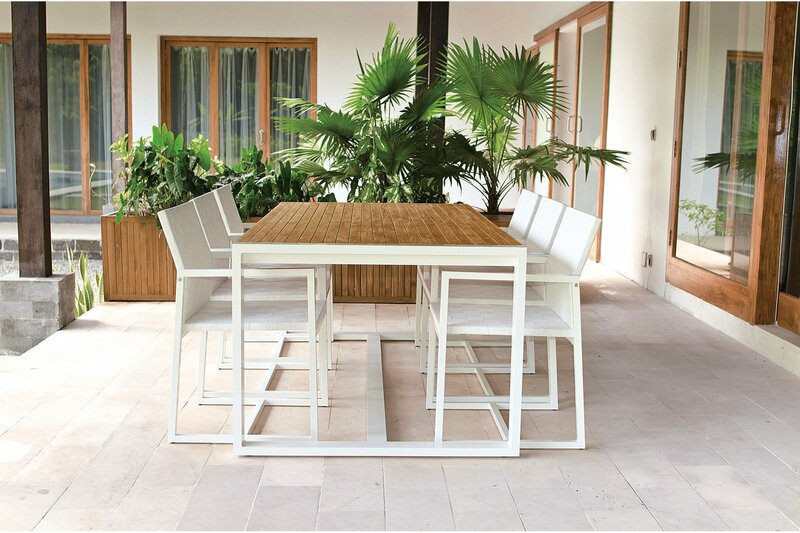 Aluminium powder coated in white colour for this outdoor dining table featuring a teak slats top. 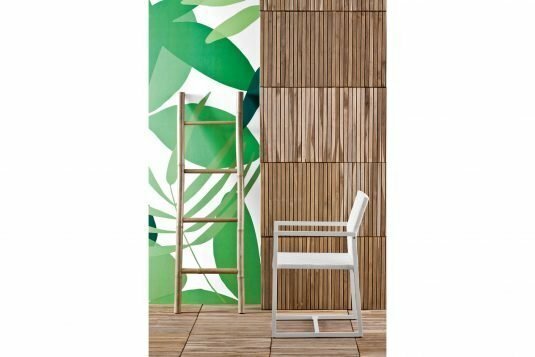 with its modern design can be combined with different styles and will fit perfectly in every patios or veranda. 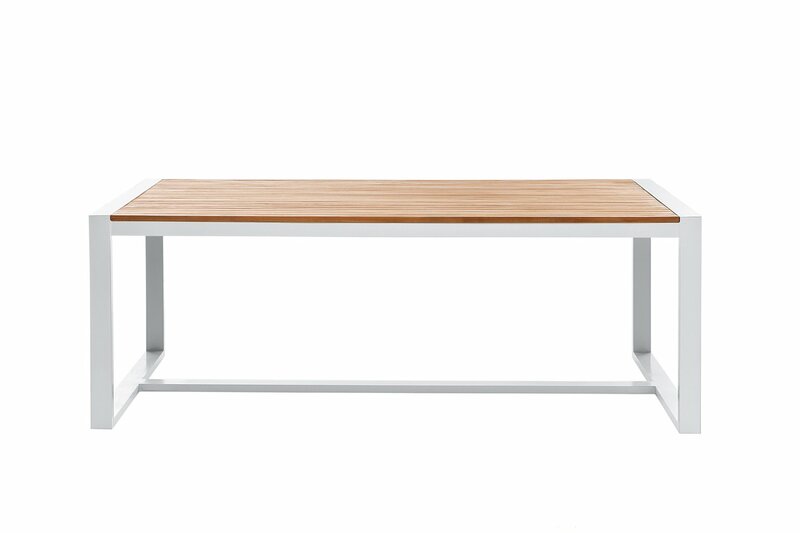 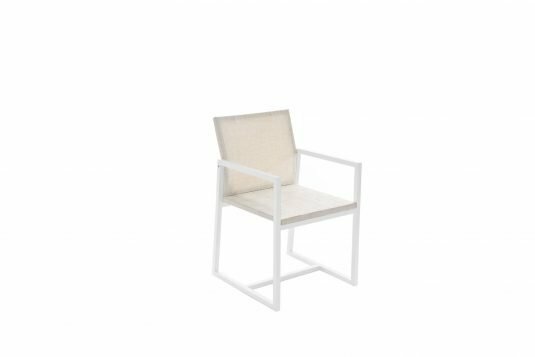 Lightweight powder coated aluminum frame in semi-glossy white color. 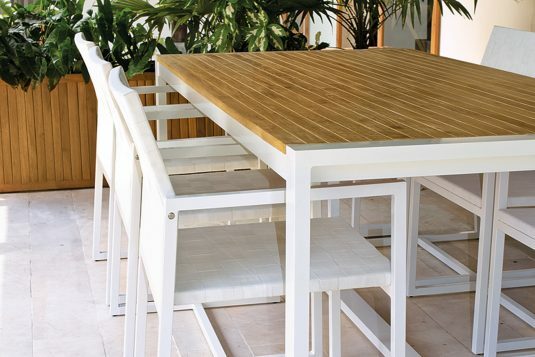 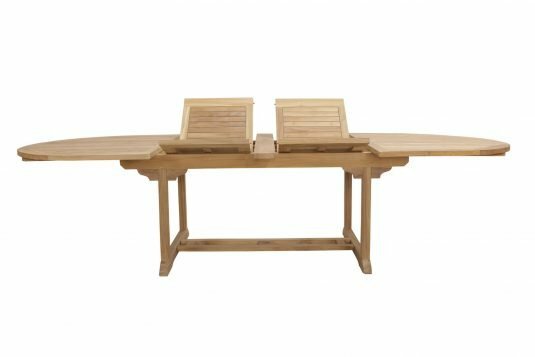 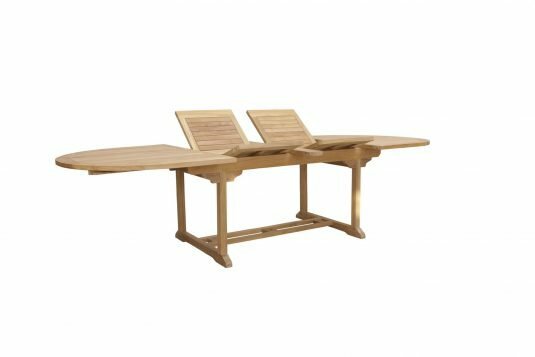 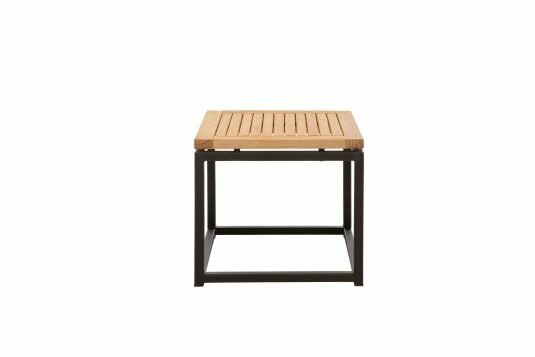 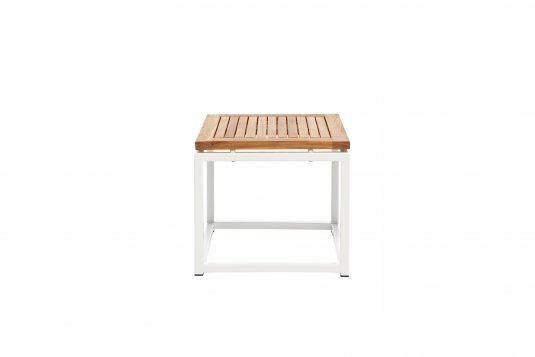 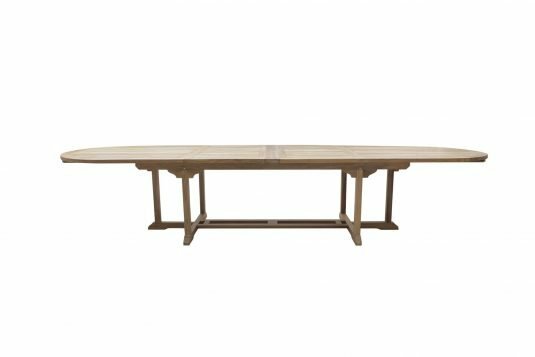 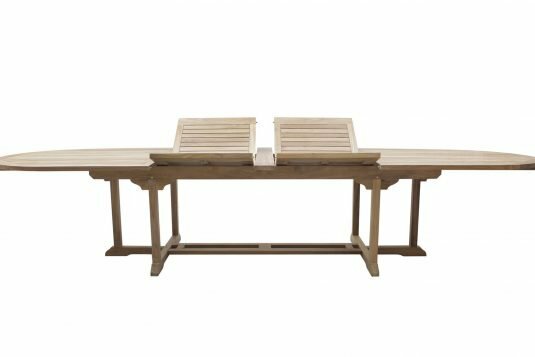 Table top made of weather-resistant, unfinished teak wood with Fine Sanded Finishing.